Despite the evidence, Jason Zweig explores the conventional views on diversification more closely. 1) Averages Hold Firm: On average, for the group of students, diversifying from a single stock to 20 reduced portfolio risk by roughly 40% – just as would be expected from the academic research. 2) Individual Portfolios Riskier: After the first few initial stock picks, for each individual portfolio, were made from a list of large cap household names (e.g., XOM, SBUX, NKE), Professor Chance found in many instances students dramatically increased portfolio risk. These students juiced up the octane in their portfolios by venturing into much smaller, more volatile stock selections. Peter Lynch: He referred to diversification as “deworsification,” especially when it came to companies diversifying into non-core businesses. Portfolio diversification and concentration have been issues studied for decades. As you can see, there are different viewpoints regarding the benefits. 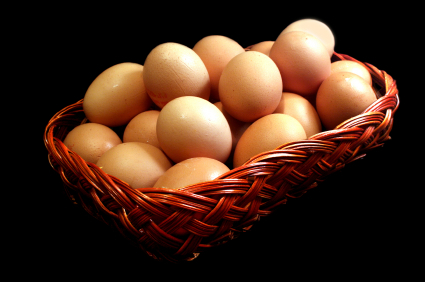 As Zweig establishes, through the research of Don Chance, putting more eggs in your basket may actually crack your portfolio, not protect it. DISCLOSURE: Sidoxia Capital Management (SCM) and some of its clients own certain exchange traded funds, but at time of publishing had no direct positions in XOM, SBUX, BRKA/B or NKE. No information accessed through the Investing Caffeine (IC) website constitutes investment, financial, legal, tax or other advice nor is to be relied on in making an investment or other decision. Please read disclosure language on IC “Contact” page. Entry filed under: Asset Allocation, Education, Financial Planning. Tags: Buffett, diversification, Don Chance, Gur Huberman, Jason Zweig, Lynch, Malkiel, Munger, professor, Wall Street Journal.